In Beverley St Nicholas Primary School we define PSHE as the aspects of our school’s provision through which pupils acquire the knowledge, skills and understanding that they need to manage their lives, now and in the future as they become adults. PSHE develops the qualities and attributes that our pupils need to thrive as individuals, family members and members of society. We place great emphasis upon the personal and academic development of our pupils and believe that they will not achieve their full potential academically unless we meet their personal and social needs. PSHE does not exist in isolation here, it is part of our culture and ethos. Many aspects of the life and ethos in Beverley St Nicholas Primary School strengthen and enhance PSHE provision. The ‘Good to be Green’ system for promoting positive behaviour teaches pupils that they are responsible for their own actions and that their behaviour impacts upon the lives of others. Our Growth Minset approach for positive attitudes to learning ensures that pupils understand what is expected of them in the classroom and how they can maximise their learning potential. 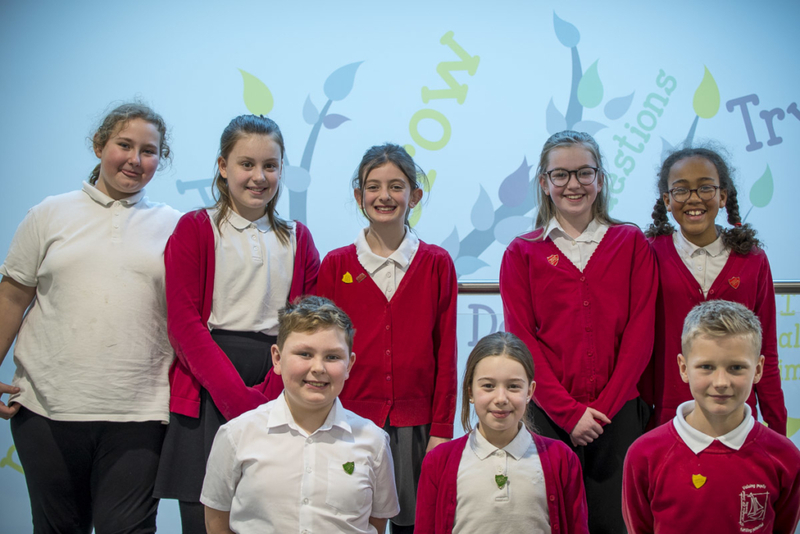 Pupils are given many opportunities to demonstrate responsibility such as volunteering as a librarian or playground Peacemaker or Playground Leader of games, being elected to the Children’s Council or leading on School Anti-Bullying. Our school supports a number of national and local charities and pupils learn the importance of giving to those less fortunate than ourselves. In Beverley St Nicholas Primary School we promote and support modern British values while aiming to prepare our pupils to be active, responsible citizens in a diverse and multicultural society. We celebrate Britain’s history, culture and heritage in a number of ways. Our curriculum covers many aspects of British history including significant individuals such as Queen Victoria, Elizabeth 1, Thomas Barnardo and William Shakespeare and significant events such as the gunpowder plot and great fire of London. Our local area is extremely interesting historically and we take every opportunity to explore this. We recently joined the local community to take part in the Early Music Festival and each year our choir performs at Tesco for Christmas. We have a programme of residential visits that includes a trip to Robinwood with visits to many attractions of fundamental historic importance such as the Beverley Minster and the Westwood and Burton Agnes Hall. Our curriculum also looks at Britain’s cultural contributions to the world by looking at the works of poets and writers such as William Blake, William Wordsworth, Charles Dickens, William Shakespeare and Beatrix Potter. Assemblies provide crucial opportunities for pupils to learn about and become involved in nationally important events. In recent years we have celebrated the Queen’s Diamond Jubilee, the London Olympics and the Tour de France passing through Yorkshire. Alongside an education in Britain’s history, culture and heritage, Beverley St Nicholasl Primary School also celebrates the range of cultures that form the vibrant society that is twenty-first century Britain. Our RE curriculum looks at a range of religions including Christianity, Islam, Judaism, Sikhism, Buddhism and Hinduism. We have recently established a link with a school in Massachusetts USA with pupils from many different cultures speaking many different languages. Each year we hold a World Week with each year group learning about a different country, its history and importance in the world. Recently we celebrated the World Cup and children in years 3 and 4 carried out their own research into the countries taking part and produced presentations for the rest of the school. The British values of democracy, the rule of law, individual liberty, mutual respect and tolerance of those with different faiths and beliefs are inherent within the ethos and curriculum of Beverley St Nicholas Primary School. These values are not unique to British society and our pupils learn that they are important in many countries across the world. We challenge any opinions or behaviours within school that are contrary to these values and are committed to the prevention of extremism within our community. We believe that sharing our values with parents, carers and our community is essential in supporting our pupils in becoming responsible citizens in British society and we do this through our school website and newsletters and by inviting parents and carers to share in the life of the school. Our Behaviour for Learning Policy centres upon a system of Good to be Green and 10/10 behaviour codes. All of our pupils know and understand this and actively engage with the system to create a harmonious learning environment where everyone has a role to play and is valued. We have an active School Council with every member voted in by their class. Children write a statement to support their proposal to be their class representative and understand that this privilege comes with responsibility. The School Council has its own budget and members are genuinely able to bring about change in school. The representatives have regular discussions about issues with their classes and feed this information back to the council during meetings. They also meet with a member of the school’s Governing Body to share information about their work and, on occasions, are invited to attend parts of full Governing Body meetings to observe their work and present their views on a range of issues. Recently they have also been actively involved in the recruitment of new teaching staff and took on this role with enthusiasm and maturity. All pupils have the opportunity to become involved in the day to day life of the school and can nominate themselves for leadership roles. Every year we advertise positions of responsibility such as Playground Peacemakers, librarians and play leaders with the roles having specific duties. Interested pupils apply in writing saying why they would be suitable for the responsibility and what personal qualities they can offer. Prospective applicants are interviewed by a member of staff and representatives of the School Council and if successful, are rewarded for their commitment with additional Superstar Savers points. Pupil Voice questionnaires are used to gather the views of children on a range of issues and there is a suggestion box available at all times for pupils to record their opinions and thoughts in writing to share with staff. The winning class for the attendance race each half term gets a trophy to look after. Once a year each class has a reward party budget of £50 to spend as they choose. This decision is made democratically with suggestions put forward and each class member getting a vote. Our school is a recipient of the Investors in Pupils Award and we use this Award process to ensure our pupils understand how our schools works for every one with every member having a role to play. The importance of rules and laws are constantly reinforced throughout the school day and all pupils have a good understanding of our school’s system of rights and responsibilities and know that society beyond the school also has its own systems of rights and responsibilities in the form of laws. Pupils are taught the value and reasons behind laws, that they govern and protect us, the responsibility that this involves and the consequences when such laws are broken. Our own school system ensures that pupils are acutely aware of the responsibilities that come with having the ‘Good to be Green’ and our Behaviour code. They develop a deep understanding of personal responsibility and develop independence in managing their relationships and behaviour. Our pupils also understand that this system extends beyond the school itself and that they should demonstrate the same values in life outside of the building that they do in school. Within school pupils also experience the importance of rules and expectations when they sign our E-Safety Acceptable Use Agreement and Home School Agreement. We also have regular visits from our local police, fire and coastguard services to reinforce the laws that apply to them in our local community. Our older Key Stage 2 pupils visit the courts and police station to view first hand, the consequences of breaking the law. Beverley St Nicholas Primary School is an extremely safe place for children and they feel happy and secure here. Within school, pupils are actively encouraged to make choices, knowing that they are doing so in a safe and supportive environment. Our Behaviour for Learning Policy encourages pupils to know, understand and exercise their rights but it also teaches them that they have responsibilities and choices to make with regards to their behaviour. Our efforts in promoting positive attitudes to learning place a great deal of emphasis on pupils taking full control of their behaviour and exercising their freedom to change it. Our House point reward scheme rewards pupils for the positive choices that they make in school and they develop an understanding of the principle of saving for something that they want. Pupils are also given ownership of their learning and are fully involved in setting targets for their own improvement. Our system of Pupil Self Reviews based upon the principles of assertive mentoring places the responsibility for progress and improvement with the pupil and they understand that the choices that they make in education influence their future. Pupils are also given other opportunities to make choices during the normal school day. We provide many different experiences for pupils outside of formal lessons. During breaks and lunchtimes they can choose from a range of activities and areas within school including a library and reading area, language and role play courtyard and a variety of outdoor games and sports. They also have access to many extra-curricular activities during the school year. Respect is at the heart of the ethos in our school and this is reflected in our system House points. Our pupils learn from a young age that their behaviours have an effect on their own rights and the rights of others. They understand the importance of respect and that it is absolutely vital in the creation of a supportive and nurturing learning environment like ours. We believe that it is very important that our pupils develop an intrinsic sense of worth and achievement because they need to have respect for themselves before they can respect others. Our PSHE curriculum does this effectively and we demonstrate our respect for pupils and their achievements by acknowledging these with a number of awards such as Merit points, Reading rewards, and House points. We also use sport based activity to reinforce the importance of respect. Our curriculum also includes studies of many different religions and cultures and our programme of assemblies includes celebrations from many of these. Beverley has a well established link with the German community of our Twin Town Lemgo and every two years we welcome a group of students to our school German students visit our school to share their experience of education with our pupils and join in the activities of a typical day in our school. We also look at diversity and tolerance by exploring the needs and lives of those members of our community with disabilities. Pupils are extremely tolerant and supportive of children here with special educational needs and they develop a good understanding of their needs. We also seek opportunities for pupils to work with members of the local community such as visiting elderly care homes to entertain with singing at Christmas and activities through the year. Our school takes part in the Archbishop of York Young Leaders Award and children in KS 2 learn about how they can be ‘the change they want to see’ in the world, through active citizenship activities. We aim to develop a sense of community and we value collaboration with other local schools, both within our local area and further afield.